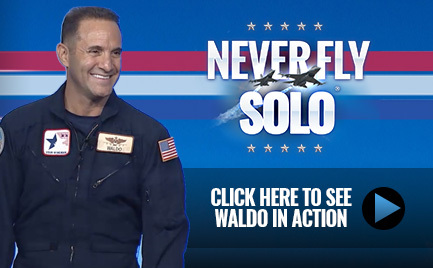 Motivational keynote speaker Waldo Waldman – The Wingman – is the author of the New York Times and Wall Street Journal bestseller Never Fly Solo. 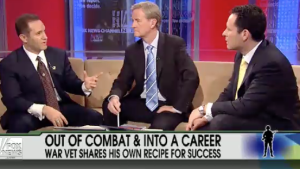 He teaches tactics on how to build trusting, revenue producing relationships with employees, partners, and customers while sharing his experiences as a decorated fighter pilot and sales expert. A graduate of the Air Force Academy, he holds an MBA with a focus on Organizational Behavior and is a former top producing sales manager. He successfully led national sales efforts for several cutting edge technology and consulting firms before becoming a motivational speaker and leadership expert. Waldo overcame massive claustrophobia and a fear of heights to become a fighter pilot with 65 combat missions and 2,650 flight hours. 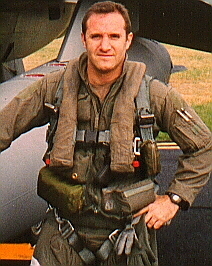 He’s deployed worldwide and flew missions in Iraq, SE Asia, and Kosovo during Operation Allied Force. Waldo has been awarded 5 Air Medals, 2 Aerial Achievement Medals, 4 Commendation Medals, and 2 Meritorious Service Medals. 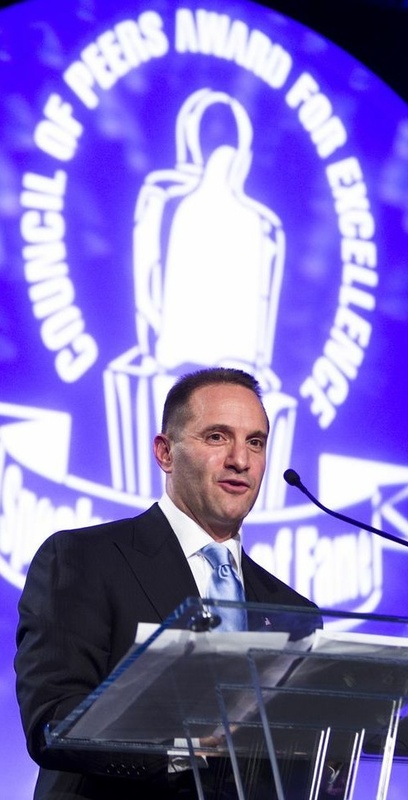 Waldo Waldman has been inducted into the National Speaker’s Association Speaker Hall of Fame. Also known as the Council of Peers Award for Excellence (CPAE), the award honors those who have reached the top echelon of platform excellence. It has been bestowed on less than 200 speakers worldwide since 1977, including Colin Powell, Zig Ziglar, and Ronald Reagan. Waldo is also a Certified Speaking Professional (CSP), which is the highest earned designation recognized in the professional speaking industry. Only 7% of all professional speakers hold this exclusive designation. Waldo believes that the key to building a culture of trust lies with your wingmen – those who help you to overcome obstacles, adapt to change, and achieve success. In business and life, you should never fly solo! The ability to win when the heat is on lies in the ability of every wingman in your organization, regardless of their role, to support the team and be 100% committed to the mission. 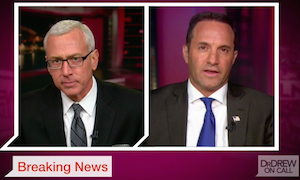 Audiences connect with Waldman because of his extensive business background and his infectious passion for helping people. 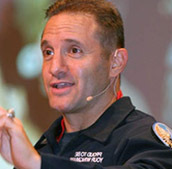 Through his motivational keynotes and leadership seminars, he applies the same principles that guaranteed his success in the competitive world of aerial combat. 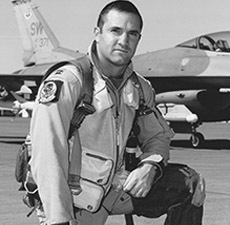 His message is simple – whether achieving victory as a fighter pilot or in business, the same qualities that ensure success apply: courage, accountability, preparation, integrity, teamwork, and a commitment to excellence! A high energy motivational keynote speaker, Waldo Waldman was ranked one of the Top 40 under 40 Business Leaders in Georgia and has been featured on Fox & Friends, CNN, CNBC, MSNBC, The Harvard Business Review, the Wall Street Journal, Investor’s Business Daily, Entrepreneur Magazine, Success Magazine, Inc. Magazine, Business Week, and many other media outlets. 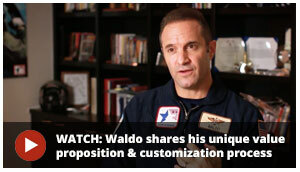 Waldo is also the founder and President of The Wingman Foundation, a 501(c)(3) whose mission is to raise funds and awareness for soldiers, veterans and their families in need. Bring Waldo in to inspire your team. 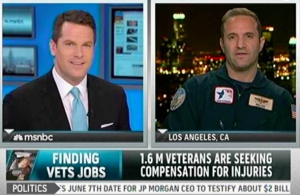 Call 1-866-925-3616 to schedule a mission!